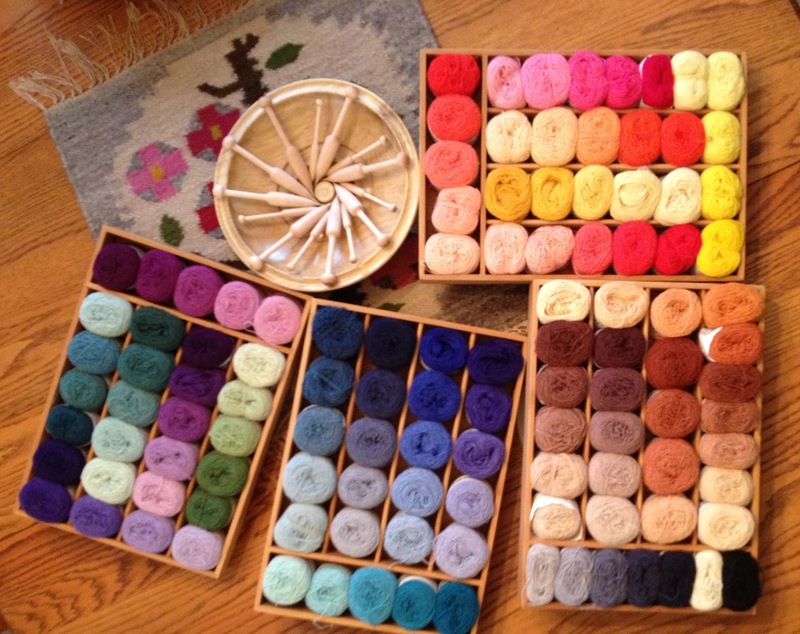 A new shipment arrived yesterday of beautiful Ymmyarns wool and silk for tapestry weaving. The colors are so, ...well Yummy. The photo shows just the wools but the silk is dyed to match. Also in the mail was a new box of hand turned brass tipped bobbins from John Moss. I now have the 5.5 inch size and the mini bobs available. Would you like to win an 8 inch Lani Loom from Mirrix, or how about some of these gorgeous Ymmyarns? Here is a picture of my Lani with it's current project. Normally I weave jewelry on it but now I am getting ready to weave a four inch square of my Laddie boy. Mirrix has a contest underway and here is the link to find out more about it. 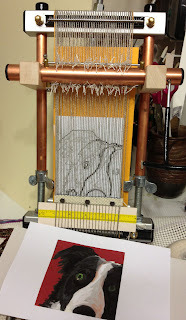 Win an 8" Mirrix Lani Loom! 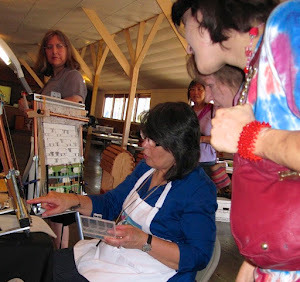 Always wanted to try weaving beads or tapestry? Ready to upgrade your loom? 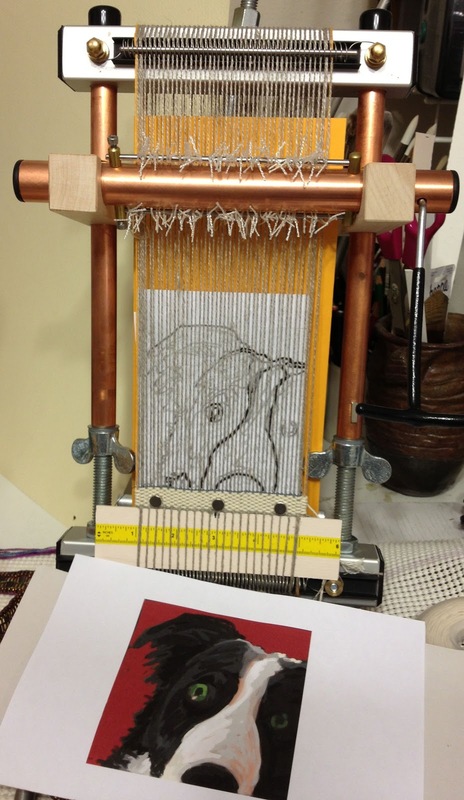 Mirrix Tapestry & Bead Looms is giving away a loom to one lucky entrant in their latest contest. What do you have to do to enter? Be creative! Create a piece of art with up to ten words that answers this question: What inspires you to create art? The piece of art you create can be of any medium, or mixed mediums, but must be an original work of art by the entrant. This contest is all about creativity, originality and sharability. You can see the current entries here: http://www.mirrixlooms.com/winaloomentry.html. Can't wait to see this completed! Thanks, I am a little behind on everything right now but I have it started.